Chironomids from the genus Chironomus are widely used in laboratory ecotoxicology, but are prone to inbreeding depression, which can compromise test results. The standard Chironomus test species (C. riparius, C. dilutus and C. yoshimatsui) are also not cosmopolitan, making it difficult to compare results between geographic regions. In contrast, the chironomid Paratanytarsus grimmii is cosmopolitan, and not susceptible to inbreeding depression because it reproduces asexually by apomictic parthenogenesis. 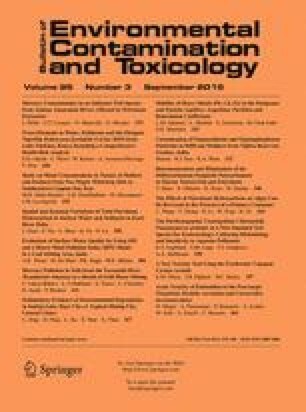 However, there is no standardised culturing methodology for P. grimmii, and a lack of acute toxicity data for common pollutants (metals and pesticides). In this study, we developed a reliable culturing methodology for P. grimmii. We also determined 24-h first instar LC50s for the metals Cu, Pb, Zn, Cd and the insecticide imidacloprid. By developing this culturing methodology and generating the first acute metal and imidacloprid LC50s for P. grimmii, we provide a basis for using P. grimmii in routine ecotoxicological testing. We thank Dr. Lisa Golding, Patrick Bonney, Rebecca Reid and Katherine Jeppe for collecting the original P. grimmii stocks. Funding was provided by the Centre for Aquatic Pollution Identification and Management.